Loving the prints, patterns and spring trends this season? Us too. Don’t feel like you have to keep your closet favorites reserved for the weekends. There are many on-trend options you can wear to the office—and still maintain your professional polish. 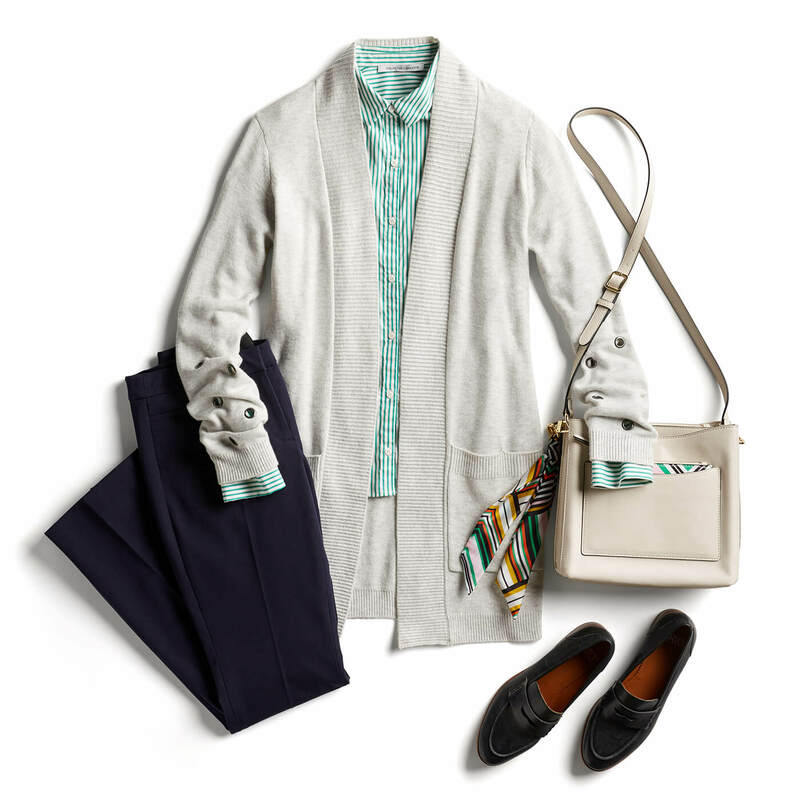 Keep reading for a few office-chic style tips to instantly elevate your 9-to-5 look for the warming weather. Swap out your classic pencil skirt for a modern midi-length number. Whether you go printed or solid, this longer length skirt is a chic alternative to the pencils of days past. Bring a little boho to the breakroom in an embroidered shift dress and colorful tassel earrings. 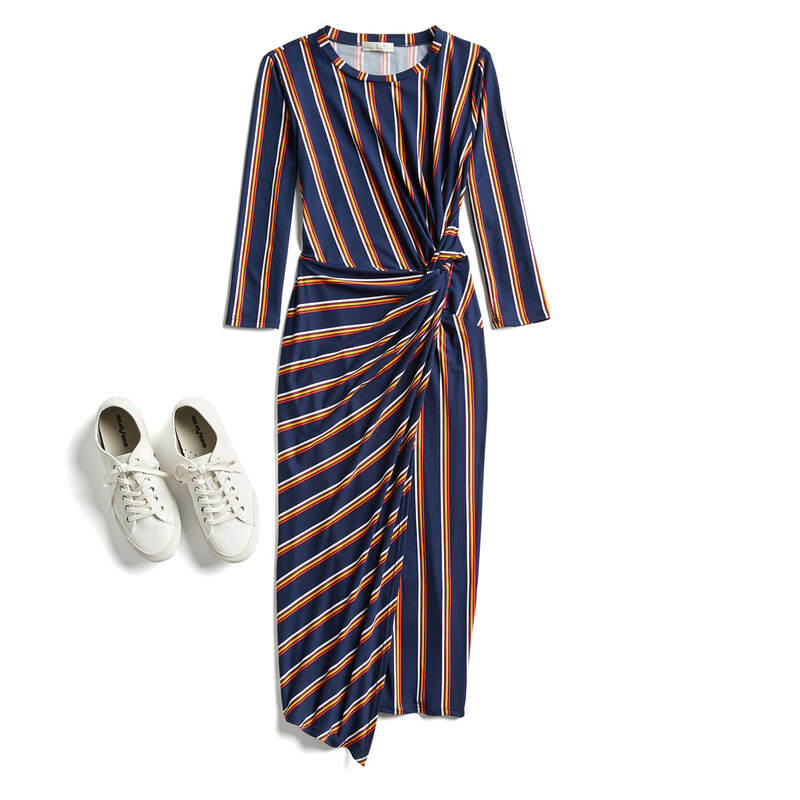 If you tend to love more classic looks, reach for a striped a-line dress that ties at the waist for some timeless spring style. Whether you a triumph in trousers or champion in chinos, opt for an ankle length silhouette in a bold cheerful hue (we love plums and fuchsias for summer!) A fresh silk top and a few timeless accessories like a neutral ballet flat and a leather tote keep the look office appropriate. Want a few more ideas for your 9-to-5? Be sure and check out our outfit ideas for more polished and professional outfit inspiration.